The Heartwell Park Historic District is significant as an example of a planned residential development. The Heartwell Park Addition was platted in 1886 by J. 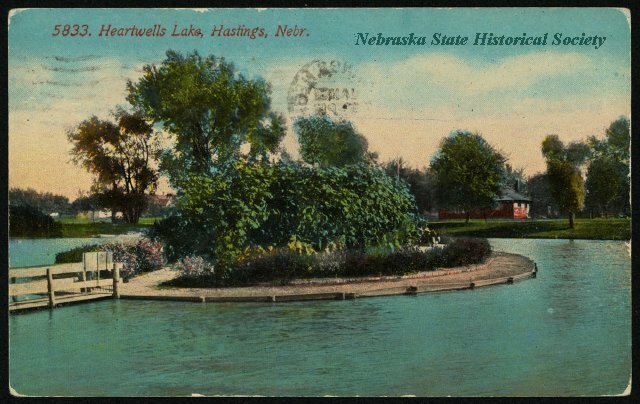 B. Heartwell and designed by landscape architect A. N. Carpenter. The idea of a designed residential neighborhood with landscaping and aesthetics was new to Hastings in the 1880s. The park was created in 1886, but the lots on Forest Boulevard lay undeveloped until 1919 and the Lakeside Drive lots were not developed until the 1940s. 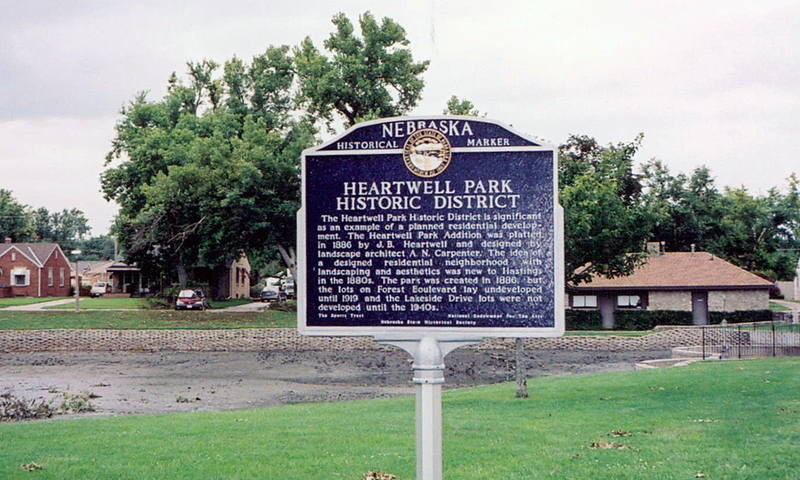 “Heartwell Park Historic District,” Explore Nebraska History, accessed April 19, 2019, https://mynehistory.com/items/show/6.